Many of these studies provide empirical support for the CA by suggesting that income and capabilities do not always go together. 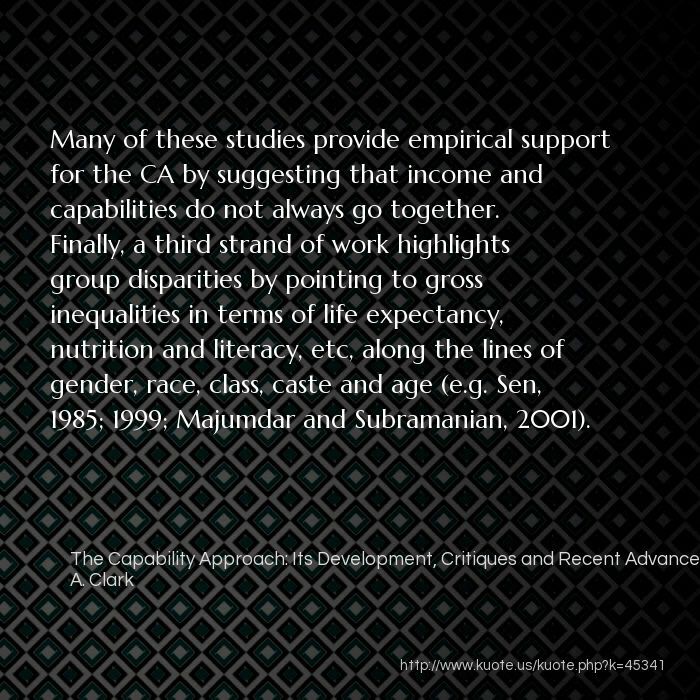 Finally, a third strand of work highlights group disparities by pointing to gross inequalities in terms of life expectancy, nutrition and literacy, etc, along the lines of gender, race, class, caste and age (e.g. 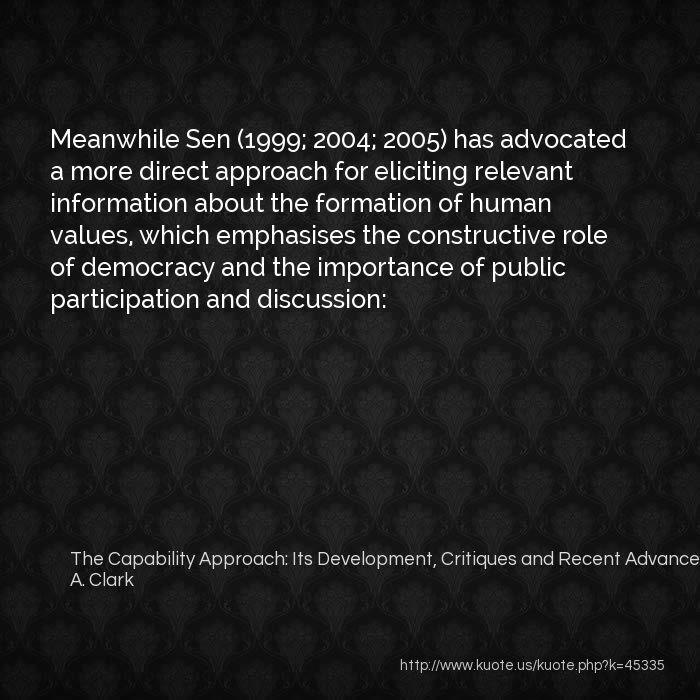 Sen, 1985; 1999; Majumdar and Subramanian, 2001). 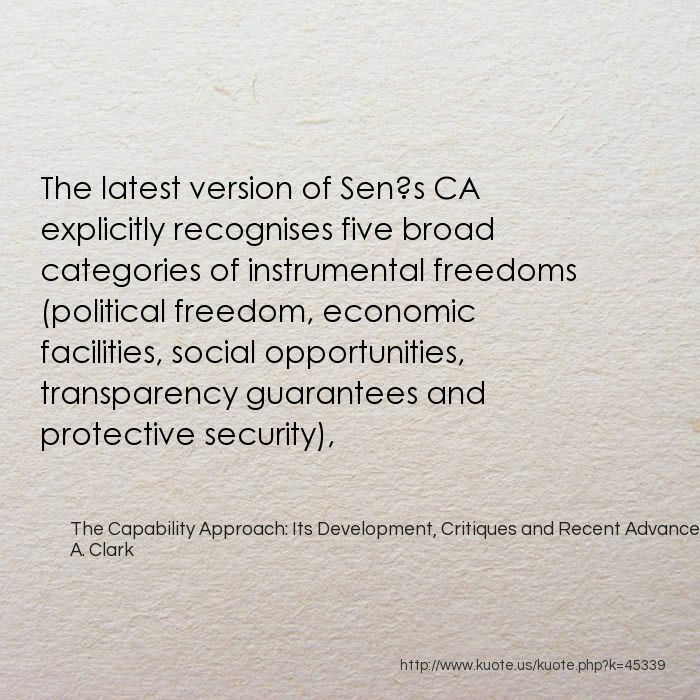 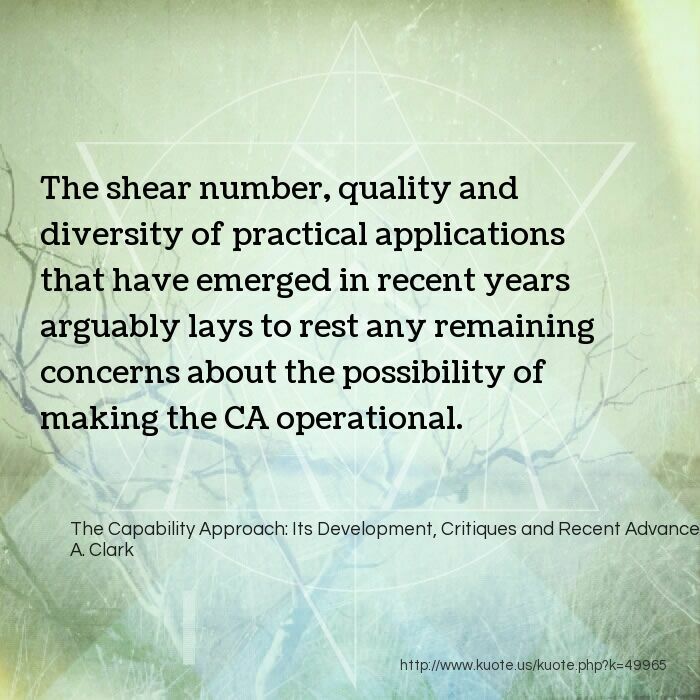 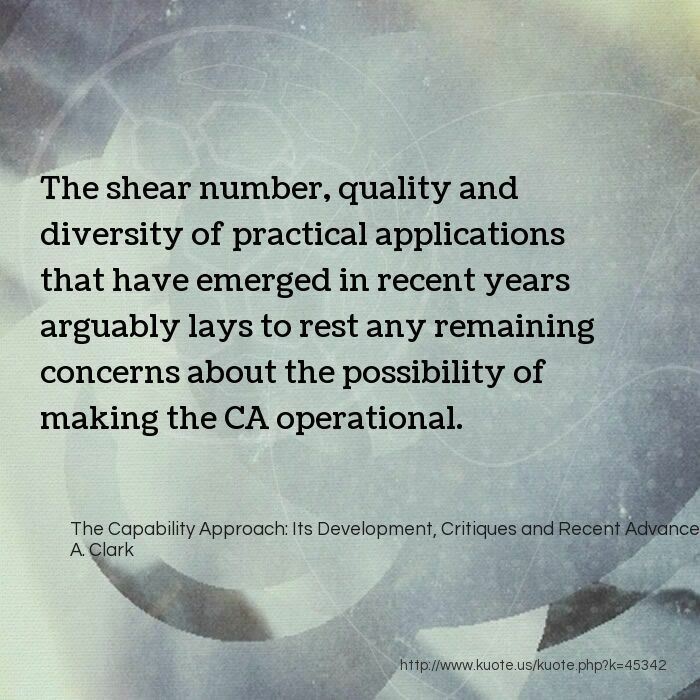 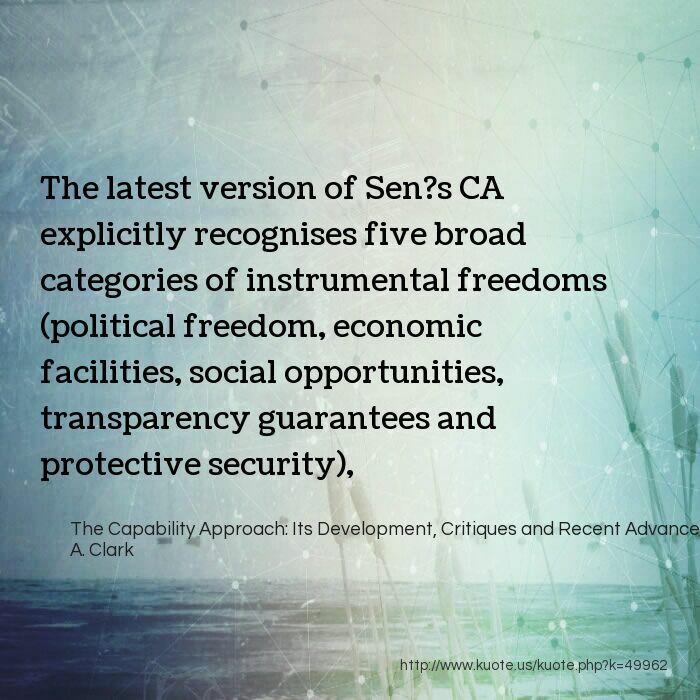 The shear number, quality and diversity of practical applications that have emerged in recent years arguably lays to rest any remaining concerns about the possibility of making the CA operational. 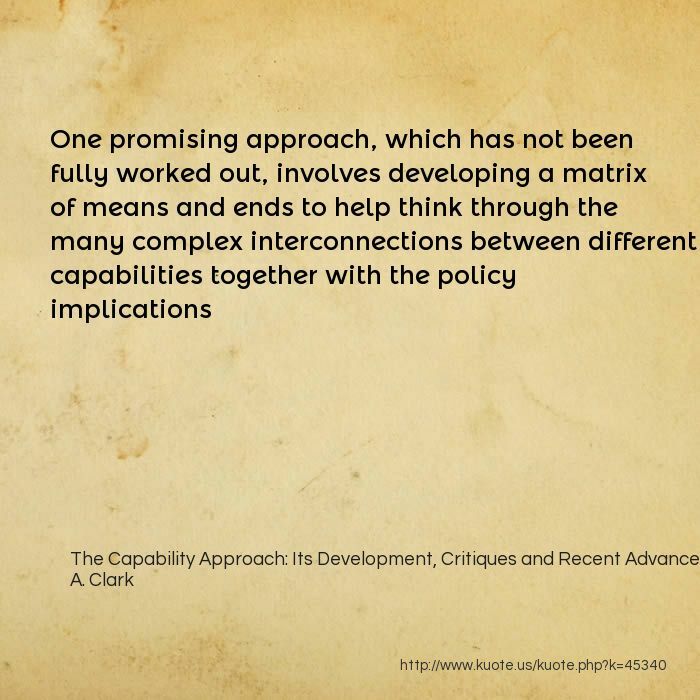 which is not fundamentally at odds with the capabilities advocated by scholars like Nussbaum and Sen. 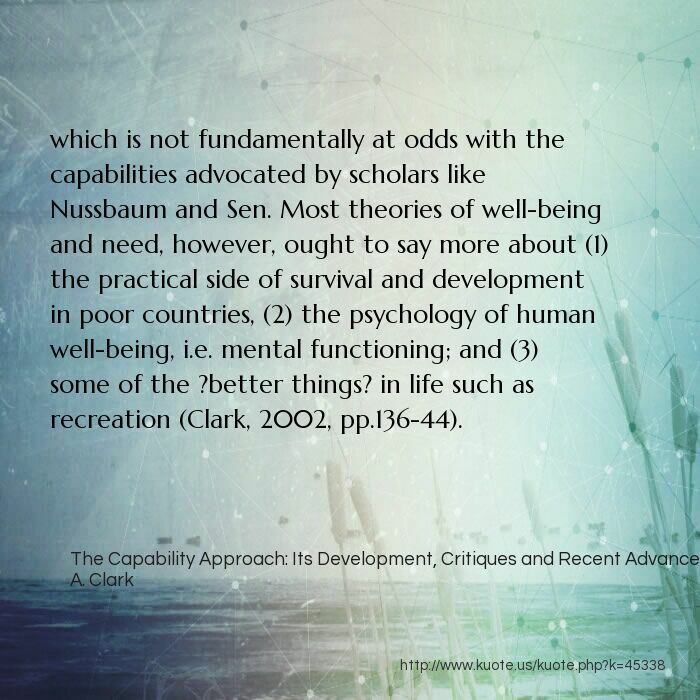 Most theories of well-being and need, however, ought to say more about (1) the practical side of survival and development in poor countries, (2) the psychology of human well-being, i.e. 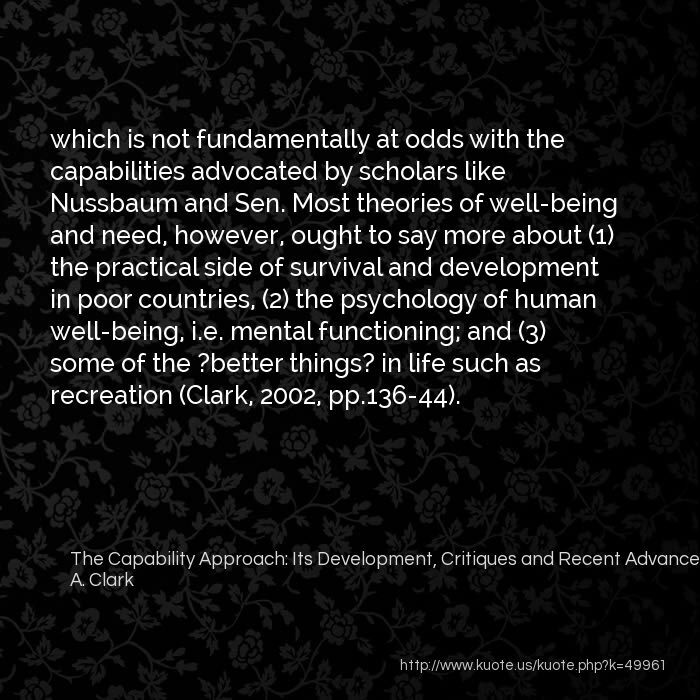 mental functioning; and (3) some of the ?better things? 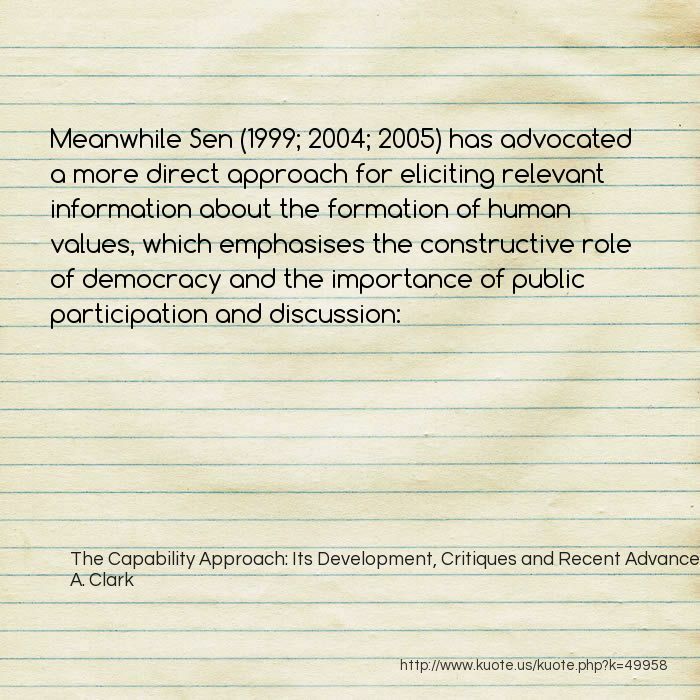 in life such as recreation (Clark, 2002, pp.136-44). 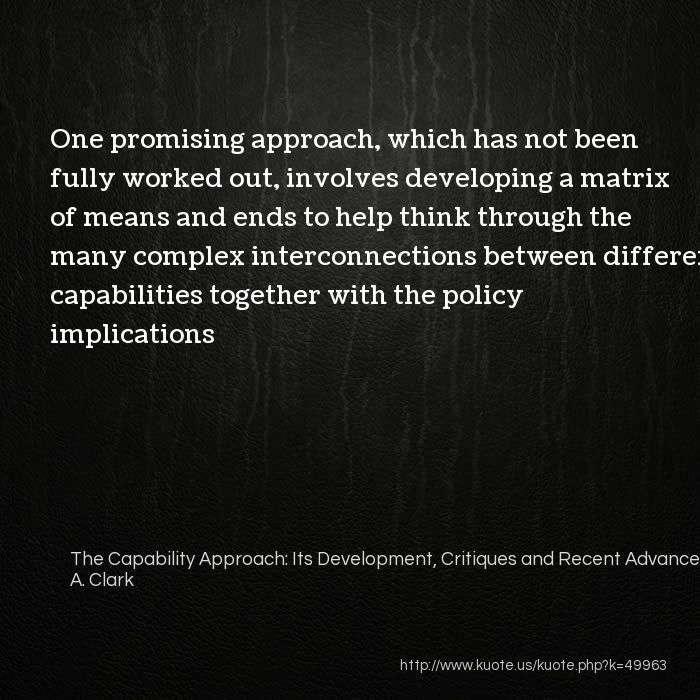 This brings us to David Clark?s plea for ?empirical philosophy? 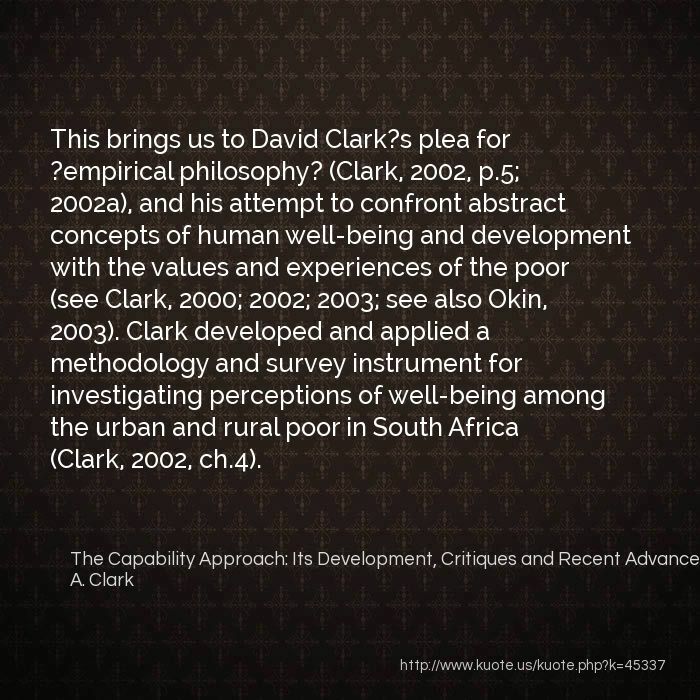 (Clark, 2002, p.5; 2002a), and his attempt to confront abstract concepts of human well-being and development with the values and experiences of the poor (see Clark, 2000; 2002; 2003; see also Okin, 2003). 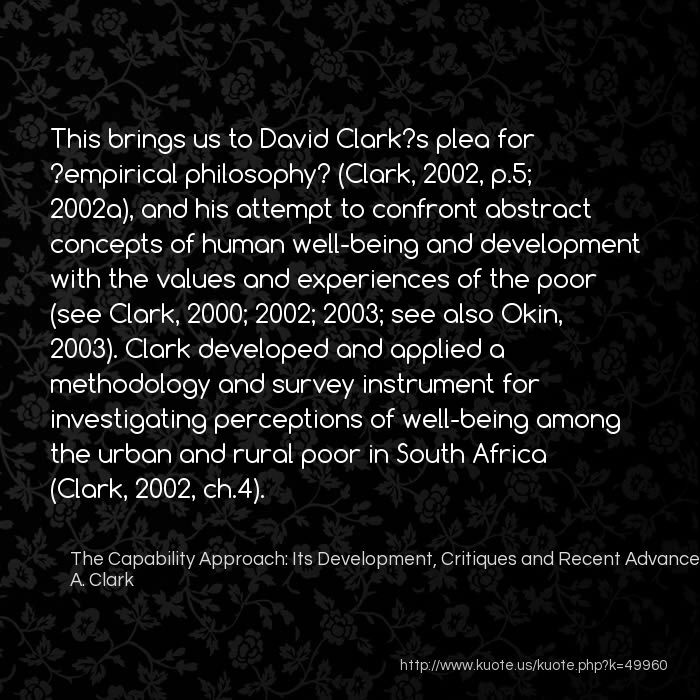 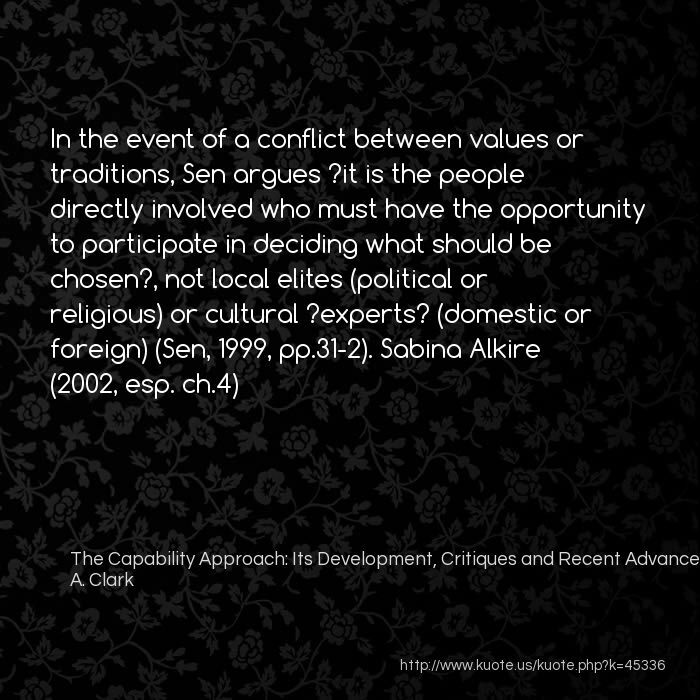 Clark developed and applied a methodology and survey instrument for investigating perceptions of well-being among the urban and rural poor in South Africa (Clark, 2002, ch.4). 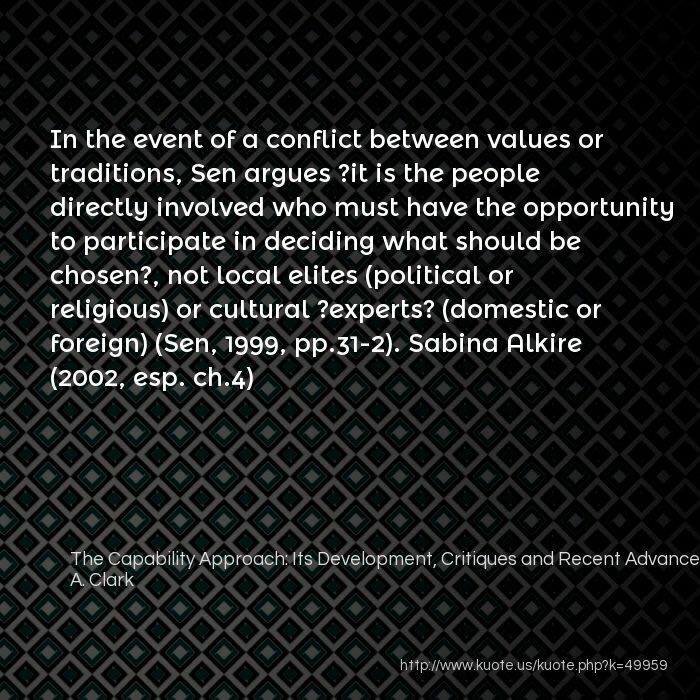 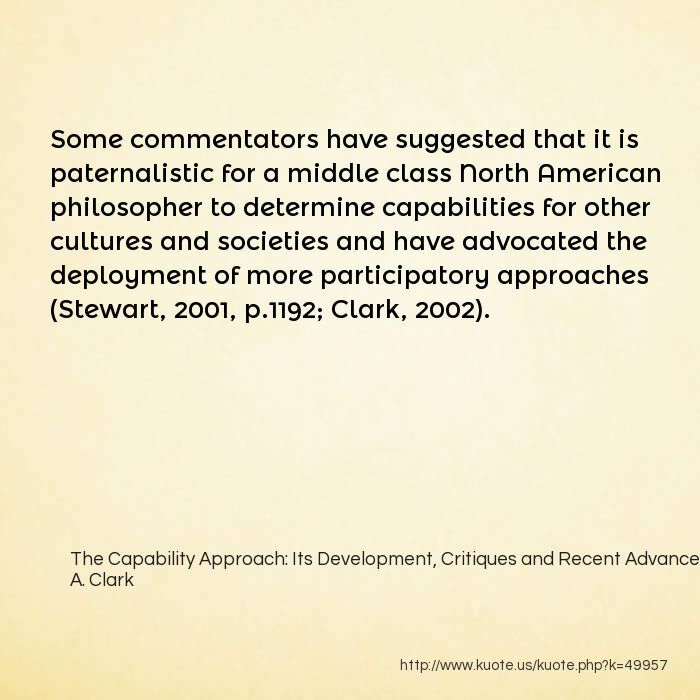 Some commentators have suggested that it is paternalistic for a middle class North American philosopher to determine capabilities for other cultures and societies and have advocated the deployment of more participatory approaches (Stewart, 2001, p.1192; Clark, 2002). 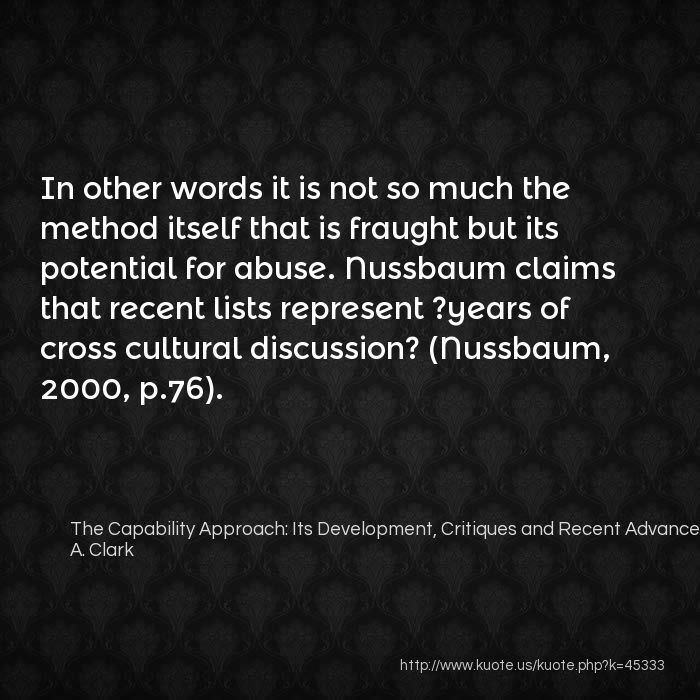 In other words it is not so much the method itself that is fraught but its potential for abuse. 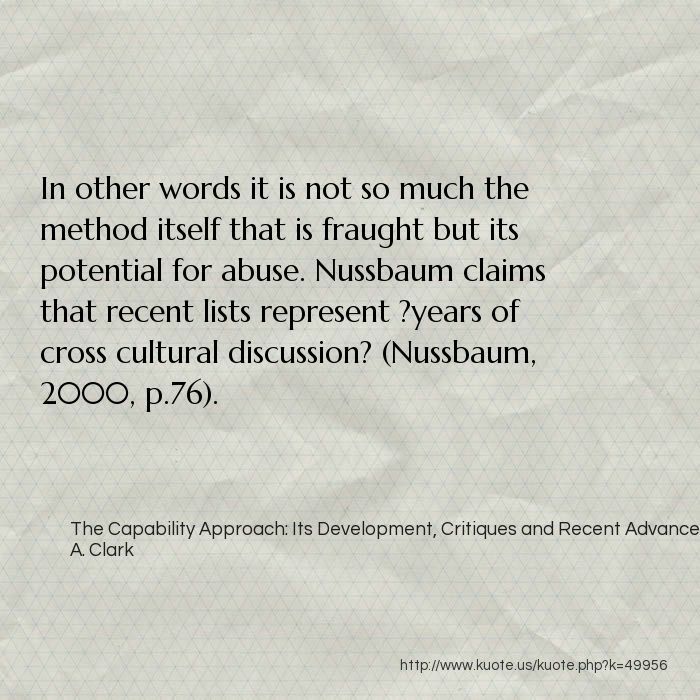 Nussbaum claims that recent lists represent ?years of cross cultural discussion? 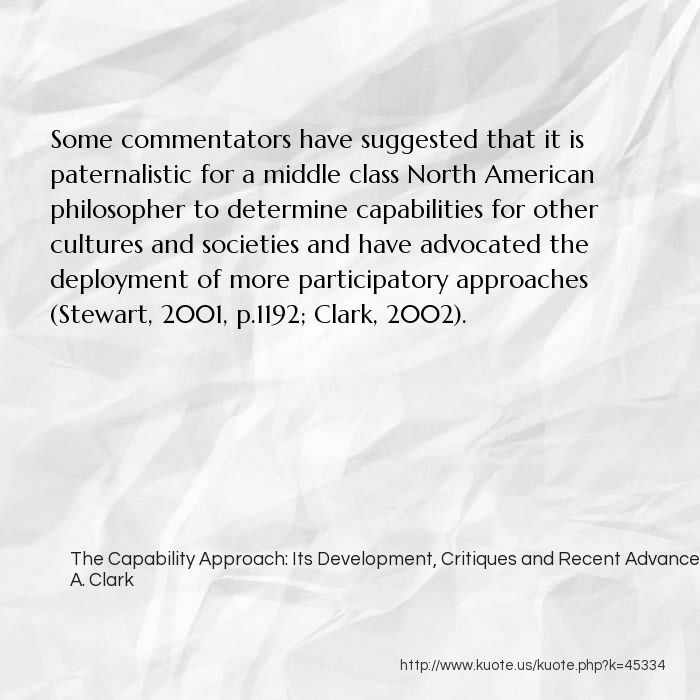 (Nussbaum, 2000, p.76).